This week marks the completion of a project I’ve been working on for the last few years, and I was delighted to be in Birmingham today for the ribbon cutting ceremony for some new accommodation. 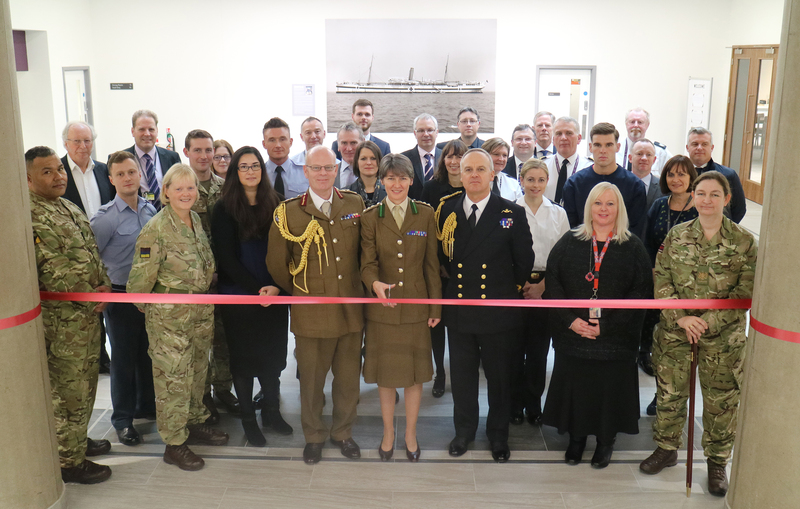 Glenart Castle Mess, located in Longbridge, Birmingham, provides a new purpose- built accommodation and messing facility for the military medics working at the Royal Centre for Defence Medicine (RCDM) at Birmingham’s Queen Elizabeth Hospital. The RCDM is the primary receiving unit for military patients and sees tri-service military medics working alongside civilian medical staff at the Queen Elizabeth Hospital. All operational casualties since June 2010 have been treated there and many non-operational casualties are also treated there. 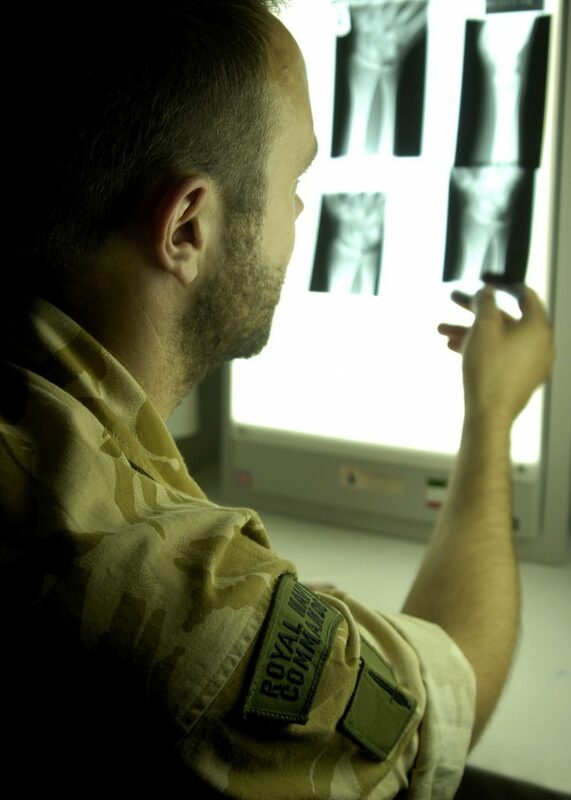 Treatment is cutting edge and the team have developed skills and techniques now used not only by Armed Forces medical staff but also in the NHS. 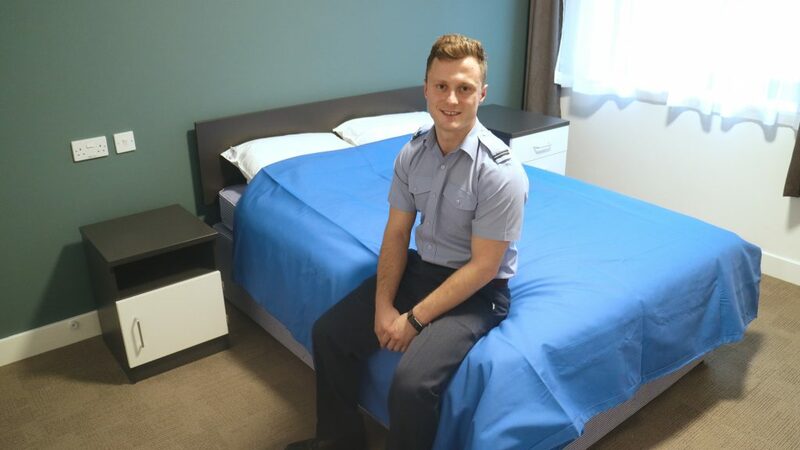 Enabling the military medical staff to live together enhances unit cohesion and encourages a sense of community, especially because they come from all three services and different ranks. The RCDM decided to call the new accommodation the Glenart Castle Mess, after a First World War hospital ship – a fitting name and a tribute to these medics' predecessors. The new building is on the site of the old MG Rover plant, which closed in 2005. Planning consent was given in 2015 and construction started last year as part of the development of the Longbridge site under St Modwen Developments Ltd. A £20m civilian leisure scheme, including restaurants, a cinema and fitness centre also form part of the redevelopment scheme. The ribbon was cut today by Colonel Katherine Richardson, the RCDM’s Commanding Officer. Also in attendance were Acting Surgeon General Major General Martin Bricknell, the military’s senior medical officer as well as officers and other ranks from the Surgeon General’s Headquarters and the RCDM, including some of those who will live in the new accommodation, as well representatives from DIO, and St Modwen and their contractors. Many DIO staff contributed this project along the way, from the commercial acquisition led by Paul Sheldrick, to the design and construction of the facilities supported by DIO specialist, Commercial, Finance and Service Delivery staff. The DIO team worked closely with staff from the Surgeon General’s Headquarters and end users, led by Commander Simon Brown, and with St Modwen and their contractors to ensure all of the requirements were met. As a result the military medics now have a fantastic facility.